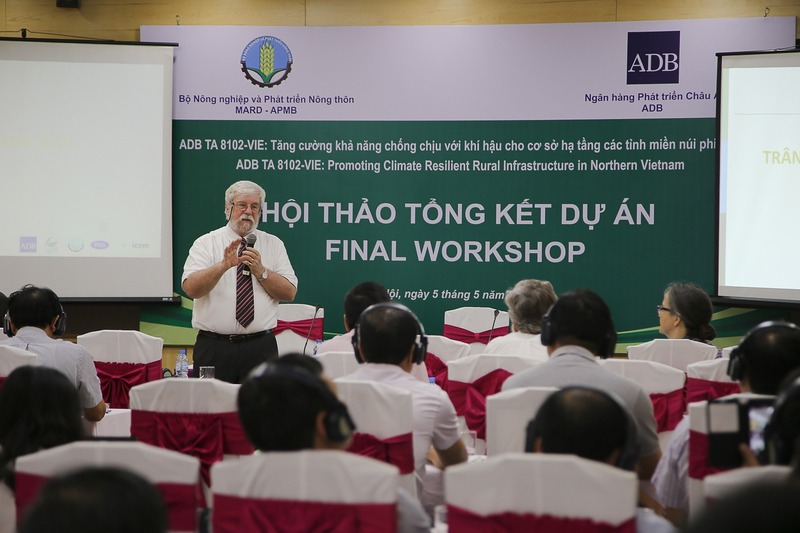 After over four years, the ADB Capacity Development Technical Assistance project Promoting Climate Resilient Rural Infrastructure in Northern Vietnam has drawn to a close. The recent final workshop was used as an opportunity to review the project outputs and explore a way forward, including the identification of entry points and next steps for using the project outputs to mainstream bioengineering in Vietnam. The objective of the project is to increase resilience of infrastructure in the northern provinces of Vietnam. It has demonstrated how non-conventional engineering solutions can strengthen rural infrastructure, resist the hazards associated with climate changes and provide opportunities to enhance community livelihoods. The project focuses on bioengineering as a low-cost alternative to conventional slope stabilization and protection techniques. 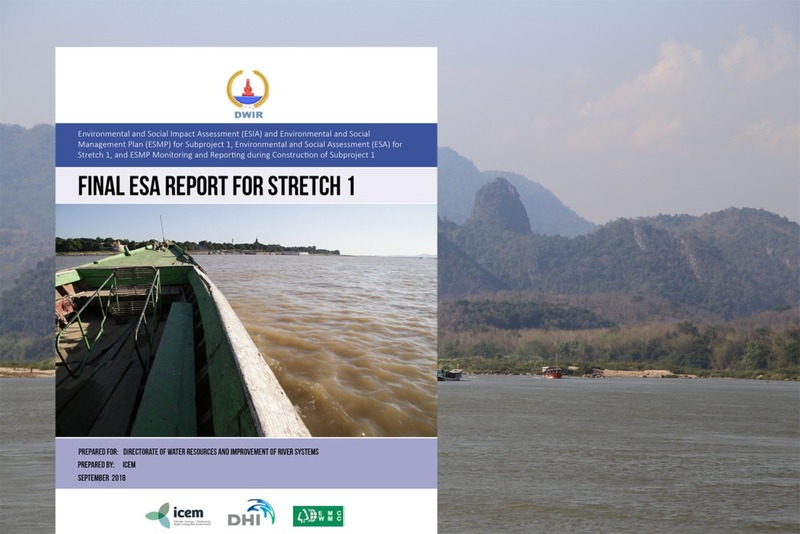 The project has centred on testing various measures and tools for assessment, design, construction and monitoring of cost-effective climate resilient bioengineering-focused works at five locations in four sites, across three provinces in northern Vietnam (Bac Kan, Son La and Thai Nguyen). Two of the demonstration sites focus on riverbank slope protection, while the remaining two focus on roadside slope protection. 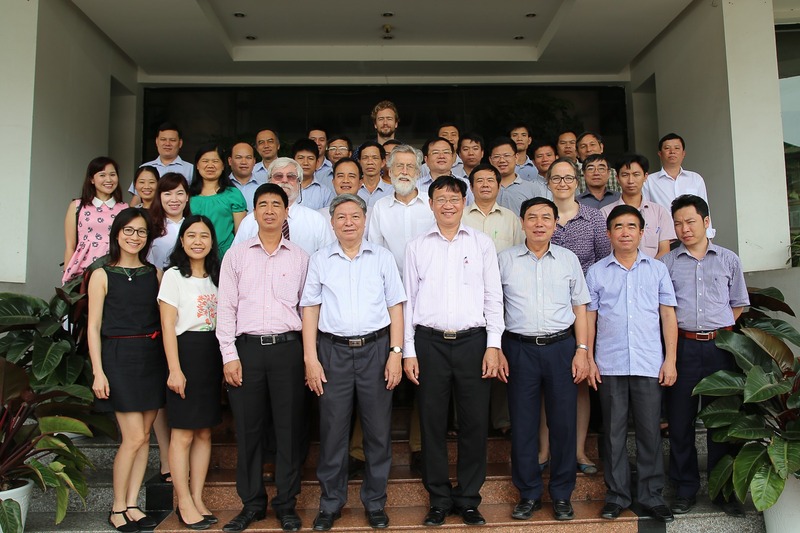 The final workshop took place in Hanoi on 5 May, and brought together project team members, representatives from the target provinces and communes across the four project sites, and national government representatives. Participants at the recent Final Workshop. 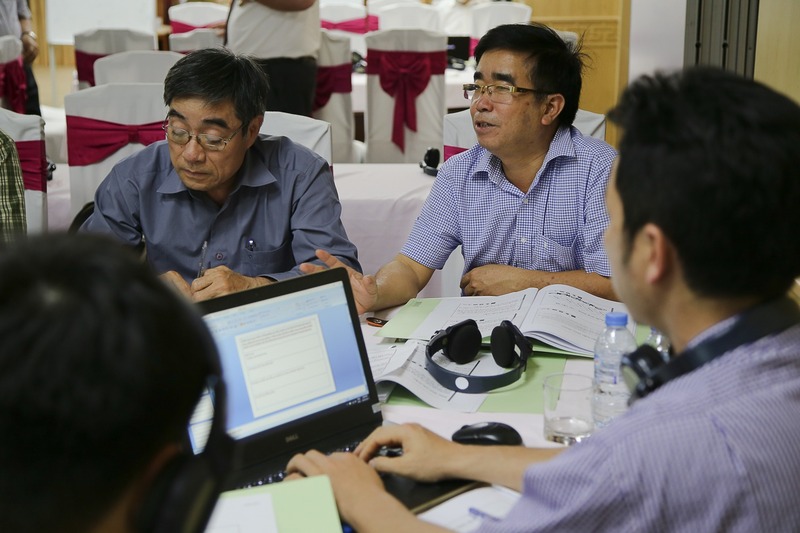 Much of the discussion at the workshop focused on the need for bioengineering norms and standards for Vietnam. Participants also highlighted the need for more research in applying a diversity of bioengineering methods in differing environmental conditions, and the importance of training and capacity building. Workshop participants discuss ways to take the project results forward. ICEM Director General, Dr. Jeremy Carew-Reid, emphasized the necessity of three elements for the project results to be taken forward. First, to establish a special unit or task force of senior technical representatives with a mandate and budget to develop bioengineering regulations and standards; second, for the Ministry of Agriculture and Rural Development (MARD) to commit an annual budget to continuing testing and bioengineering methods; and third,to expand the network of bioengineering demonstration and training sites across the country.